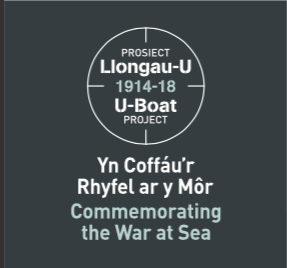 Between Easter and end of May 2019 the Newport Ship Centre will be hosting an exhibition commemorating the Forgotten U-boat War around the coast of Wales 1914-18. This Royal Commission on the Ancient and Historical Monuments of Wales (RCAHMW) exhibition will run along side the our Newport Medieval Ship exhibition providing the opportunity to see and learn about two aspects of Welsh history. We also have a series of talks and presentations are planned for the coming months. You can find more information on our Talks and Events page.